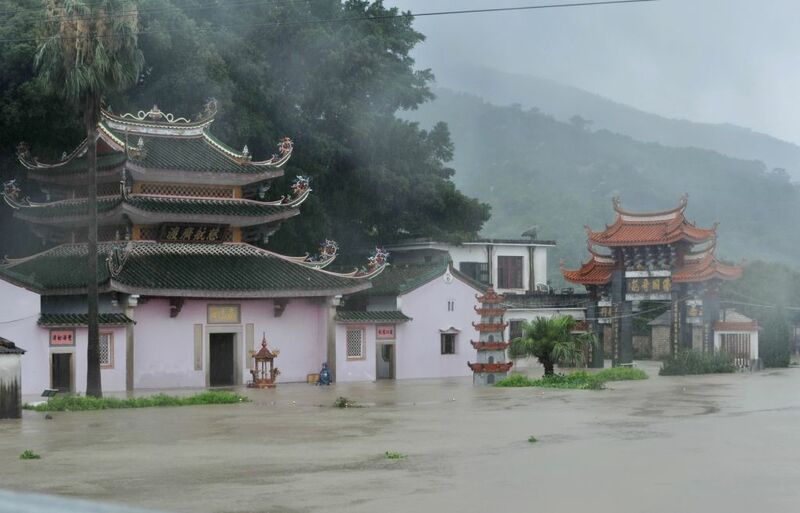 ZHAO'AN, June 16, 2014 (Xinhua) -- Photo taken on June 16, 2014 shows a flooded temple at Xixia Village of Dongqiao Town in Zhao'an County, southeast China's Fujian Province. 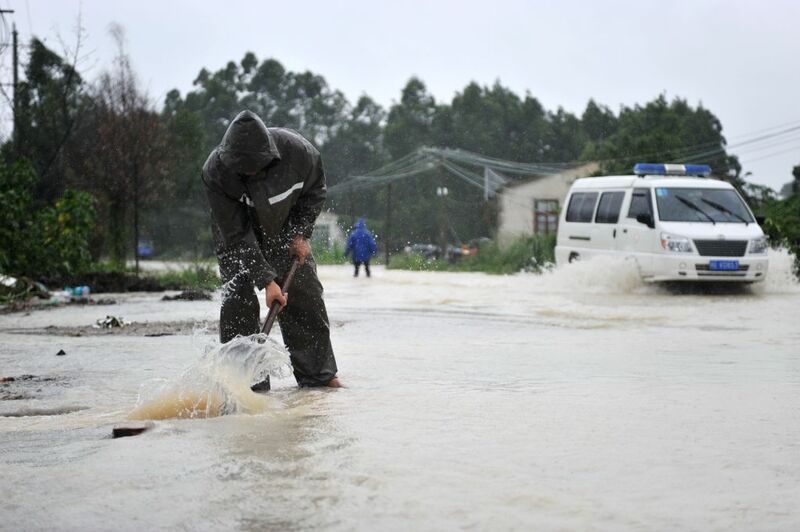 The typhoon Hagibis brought torrential rain to Fujian on Monday. ZHAO'AN, June 16, 2014 (Xinhua) -- A villager clears water on a road in Dongqiao Town in Zhao'an County, southeast China's Fujian Province, June 16, 2014.